We take our environmental responsibility seriously, all of our windows have an energy rating of A+ as standard. Energy efficient windows help to reduce fuel bills and CO2 emissions, lessening the impact heating your home has on the environment and global warming. You can also be sure that our manufacturing methods are sustainable. We use 100% recycled material in our uPVC Thermal Inserts, which are in turn 100% recyclable. Plus all our components are manufactured to the ISO14001 environmental performance standard. 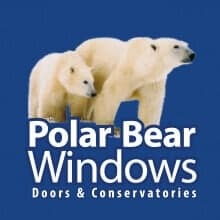 All our windows, doors and conservatories have an excellent rating for energy efficiency. uPVC is made from recycled material and can be recycled after use. Quality exceeds all British Standards. Products are manufactured in the UK. Reduce energy lose allowed you to save money and do your bit fo the planet. We recycled old products where we can. Limit what we print and work closely with local charities to build a better community.